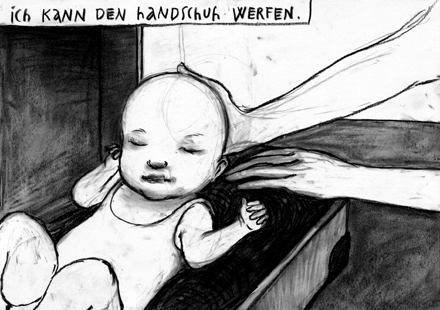 A Translation into english will follow soon! 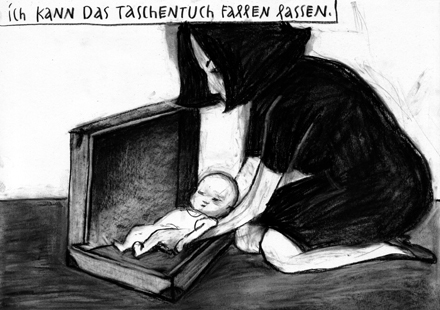 Anke Feuchtenberger, born 1963 in Berlin, is drawing Comics since 1993 like "W, the Whore" Bries, Belgium, or "Die Spaziergängerin" 2012, Reprodukt. 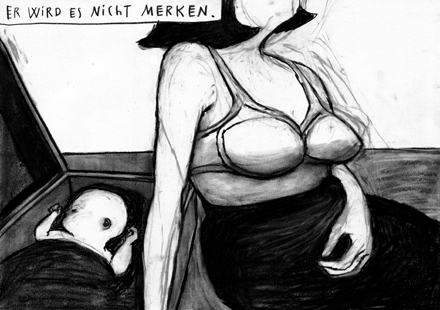 She teaches Comic and Illustration in Hamburg. Katrin de Vries, born 1959, lives in Ostfriesland. She writes prose and plays.